Today I'll show you how to build Java RESTful Web Service that uses MongoDB database for storing and retrieving data. 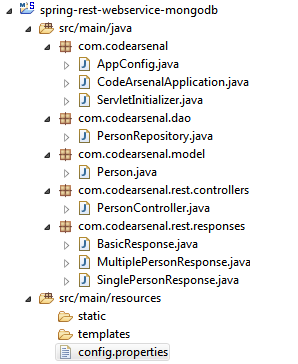 The service is written using Java Spring 4 technology. In this project I will show how to configure MongoDB database parameters in java properties file and how to consume it using Java Spring. If you're new to MongoDB then I suggest to read my previous article on How to Install and Run MongoDB on Windows. I will not describe in details maven pom.xml structure just because you can simply download the whole project by clicking on the download link at the bottom of this page. Ok, so what this all about? We got here Person class which represent our domain object to be persistent to MongoDB. PersonRepository class is responsible for actual operations via MongoDB for the Person. In our case these are: addPerson, getPersonByName, getAllPersons, deletePerson and updatePerson. 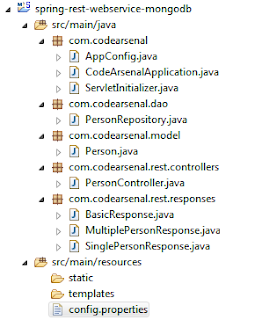 Now let's see PersonController class. This is the entry point of all requests from client to our server. Ok, now we're ready to launch our Tomcat server to see how all this thing works, but first we should start MongoDB database server. Read my previous post if you do not know how to do this - How to Install and Run MongoDB on Windows. 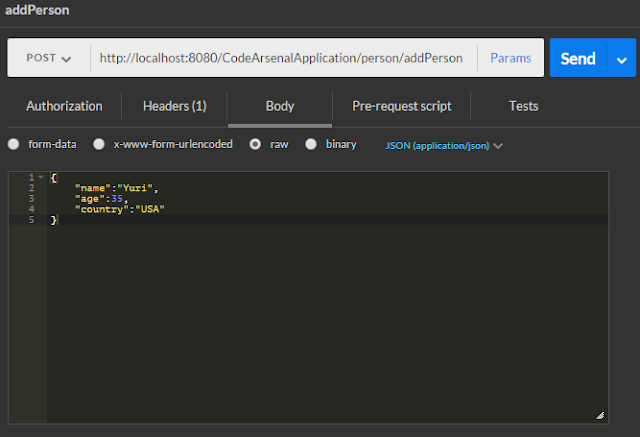 Let's test our application, First we'll add a new person to our system, I will use Postman to simulate JSON requests. Just make sure that Tomcat and MongoDB servers are running. 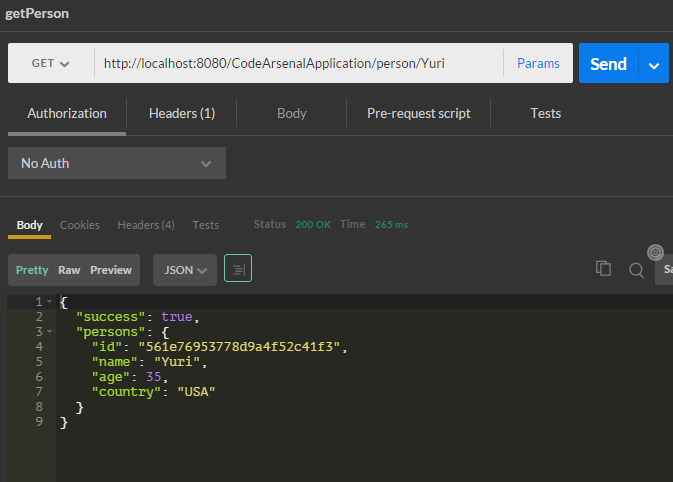 "message": "Successfully added Person: Yuri"
In the same manner you can test other APIs. If you have any questions you're welcome to ask in the comments section. I am getting one error while fetching the data.